At long last, after a glacially-paced 595 days, Game of Thrones finally returned on Sunday night with the much-anticipated first episode of its final season. Not surprisingly, fans nearly broke the internet with reactions about, well, everything. There were tweets over whether the premiere was worthy after such a long wait. Memes galore were made and shared. But one of the most buzzed-about topics has to be Reddit theories about Bran Stark (played by Isaac H. Wright). With every day that passes, fans seem to grow more convinced that Bran — historically an observer in the series more than an actual participant — might be the most important person in all the seven kingdoms. And they’ve got plenty of hunches about why. A quick little recap about this young man with the totally unnerving, thousand-mile stare: the fourth child of Ned and Catelyn Stark, Bran gets a rough start in GoT when his peeping Tom proclivities get him pushed out of a tower by Jaime Lannister, who didn’t want word to get out that he was in an incestuous relationship with his twin sister, Cersei. Bran survived the fall but was left crippled. Fast forward to the present and, in addition to being a greenseer and warg, he has become the new Three-Eyed Raven. Because Bran now has an almost omniscient awareness about his surroundings, suffice it to say the guy tends to emit some seriously ominous vibes. 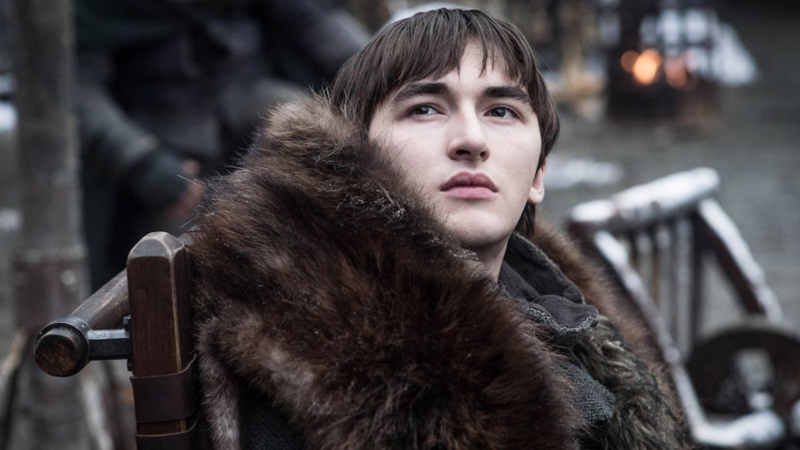 And if you’re willing to take a tumble down the rabbit hole that is Reddit, you’ll find an entire universe unto itself filled with nods to Bran and how his abilities could play a major role in GoT’s swansong. Here are five intriguing theories from Reddit’s GoT thinktank. Warning: potential spoilers ahead. Other Redditors on the thread bolster the Bran-dragon-warging theory but point out that it might not have been with Drogon. “Bran’s eyes turn white [in the intro] and then there Viserion’s eye is shown opening,” says one Redditor. States another, “Having Bran warg into the undead dragon is the best option, if it’s an option. Cause it to throw the Night King off its back and crash into a pile of obsidian spikes.” Plus, as Redditor @alt-ging highlights, Bran needs a new companion for warging, and every dragon other than Viserion already has a companion. And there’s that whole “you’ll never walk again but you will fly” prophecy.